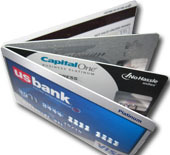 Elavon is a credit card processing company. You can obtain an account with them and they provide a webpage on which you can enter card numbers, expiration dates, etc, and they will process the card and deposit the money into your account. Previously, the company was known as NOVA, but in 2008, the name was changed to Elavon. Elavon, which provides processing services to financial institutions and merchants, is owned by the Minneapolis-base U.S. Bancorp. When we signed up with NOVA, it seemed like a reasonable company to work with, but as time went on, we have become more and more disappointed with the service. Their website, for one, is clunky and hard to use. It is completely non-intuitive. Instead of using their website, we use a special software program - which, in itself, meets and exceeds all credit card industry standards. That took care of the clunky website. Then there is the issue of fees. When we signed up, we paid a fairly high initiation fee, larger than the majority of companies we researched, but we were assured there would be no more fees, other than a small $5 minimum each month and the normal per card percentage. But Elavon broke that promise. Earlier this year, we received a note which informed us that since we "use a software application" we would be assessed an extra fee. We aren't the only ones. Anyone that uses a POS or has shopping cart on their website, or even if you use Elavon's website, must pay this extra fee. We -- and thousands of other merchants using Elavon -- now have to become "certified." To do that, Elavon is requiring a $175.00 fee just to use a software program to become certified. Just to use a software program! And it's not just once a year. They bill your account this extra fee every year. Everyone knows when it comes to credit card companies that fees never stay the same. They keep going up, so merchants can expect even higher "certification" fees in the future. In fact, the fee just went up from $135 to $175 from 2009 to 2010. That's during a year in which inflation was essentially zero (0) percent! Strongly recommended. Yes. But that doesn't mean the same thing as required. We are one of those merchants that process less than 20,000 cards. In fact, a lot less. But even though it is optional for hundreds of merchants like us, Evalon still charges you the fee. The software they suggest that you use is something called TrustKeeper. I'm a programmer, and I've never seen a more poorly designed, poorly executed, poorly documented, and poorly supported software program than this one. To get it up and running, you have spend much of the day installing the program on your computer and answering a series of questions. Then guess what it does? It then inspects your computer - scanning and monitoring - and at regular intervals it provides the TrustKeeper home office with data that it collects from your computer. TrustKeeper says that it only scans your computer on quarterly basis, but if you read the help documentation, you'll see that you have to keep the software active every day -- and you are only given an 8-hour period during the day when it won't communicate your transactions with the home office. That doesn't make a lot of sense to me. If it scans quarterly, why does it have to be active on your computer all day, every day? What does it send to the TrustKeeper office? That's the million dollar question. They say that TrustKeeper is assurance that hackers aren't collecting credit card data from you computer. But who is watching TrustKeeper? What exactly are they doing on your computer? Remember. This is coming from an industry who has found ways around usury the laws in this country that protected consumers and gave us draconian 21% - 25% interest charges. Do you really want a company associated with the credit card industry monitoring your computer? At this point, you're probably thinking that I am kidding. I wish I was. In any other line of business, customers would tell Elavon and TrustKeeper to take a hike. But not the credit card business. Not only does the credit card industry charge outrageous penalty charges and interest rates to consumers, they find plenty of ways to pile on charges for merchants. And now Elavon and other processing companies have found even another way to squeeze money from merchants while brazenly monitoring your computer at the same time. So the bottom line is this: you pay to have Elavon and their partner companies "scan" your computer. You pay to allow them to report information on your computer to their head office. You pay in terms of your valuable time to install the program, answer their questions, read their poor documentation, call their support help on the phone (what fun that is! ), add updates, and maintain their program. Haven't they gone far enough! If you aren't happy about this situation, I'd like to hear from you. Whether you are an Elavon user, or use another processor, drop me a line. 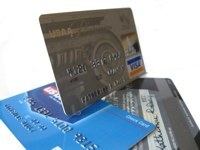 The credit card companies are very powerful, but if enough merchants band together, perhaps we can make a difference. So please write me. Let's see if we can throw some ideas around and get organized. Let's try to bring some sanity to credit card processing. The other thing I would like to do on this website is find alternatives to the Elavon's out there. If you're working with a processor that deals with its merchants in a fair manner, and that has reasonable ways of treating merchants that use software, let me know and I'll post information here.